Leading figures in the plastic industry have warned of the potential impact of reduced rights for European Union (EU) workers and increased import costs, following the political events triggered by the Brexit vote. 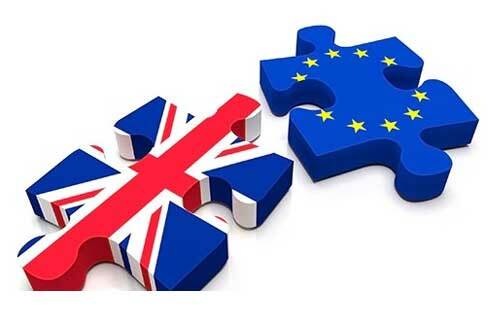 British Plastics Federation director general Philip Law, said: “As a result of currency movements following the referendum there are widespread concerns over the increased costs of imported raw materials and machinery and the impact this will have on competitiveness and investment. Luxus managing director Peter Atterby admitted that it was “difficult” to be positive about Brexit because of the current uncertainty. He said: “Do we really think that we will have free trade with Europe without adhering to EU policy or standards? I think not. Axion Polymers director Keith Freegard said that workers from Eastern Europe had been a key part of the firm’s growth over the last 15 years. For materials distributor Plastribution currency fluctuations are impacting on its business. RJG Technologies managing director Richard Brown, said the main initial impact on the firm will be currency movements as the firm purchases in US dollars and trades in pounds and euros. He said: “We are now in unchartered territory and it appears that the political planning is only just starting to determine what post Brexit UK will look like. “Long-term it will depend on how trade deals with Europe and the rest of the world are negotiated and what current EU laws that affect business are adopted or dropped. “The outcome of the negotiations between the UK and the EU, when they commence, and any action taken by the UK government to sidestep the UK’s obligations under EU law will have different consequences for each business. Data Plastics managing director Carl Reeve, said he agreed with much of the BPF’s statement regarding increased costs, access to labour, and exporting opportunities. He added: “Brexit will not be a straight win or lose and the full implications will take years to filter through. As businesses I think we would all prefer banks and politicians to leave us alone to get on with our jobs. “Political and financial uncertainty has an unsettling impact on the economy that is generally unhelpful.